Love. Terror. Giddiness. Teeth-gnashing desperation. Buying your first home involves so many emotions. And like so many other milestones in life, you won’t fully understand the impact until you live through the process yourself. In an effort to clue you into some of the challenges you'll face as a first-time home buyer, we asked some folks who've already gone through the ringer to spill what they wish they'd known earlier ... tips that would have saved them a ton of time, effort -- and tears. Here's hoping their 20/20 hindsight will smooth your path to home homeownership. It's easy to fall hard for a recently renovated house that looks like it’s in absolutely perfect condition. Beware, a home inspector may find a laundry list of issues -- and that's a good thing. For instance, while a new hardwood floor may look beautiful, if it’s not installed properly you could find abnormal gaps, debris in the finish or sanding blemishes. And the same goes for the kitchen appliances – just because they are installed does not mean they are working. The takeaway: No matter how nice a home looks, a home inspection is the only way to make sure you aren't buying a lemon. The last thing you want to discover after you buy is a major problem that could have been identified early on. You don’t have to ask the home seller to make repairs before taking ownership, but you do need to know whether you should proceed with the purchase or not. Sure, online research serves a purpose, but if you're serious about buying a home, it’s not until you get pre-approved for a mortgage that the home-buying process gets real. Money talks. The takeaway: You can’t get pre-approved by plugging in simple numbers on a mortgage calculator. You need an experienced lender who will take a detailed history and require documentation of your assets and income. This is the only way you'll establish that you qualify for a mortgage and for how much. You found the perfect condo and your offer was accepted, so you want to celebrate. However, your lender informed you that the closing process would take about two months, and within those 60 days, you have a hefty to-do list. Struggling to keep up with the copious paperwork can make it tough to remember all essential appointments and complete paperwork on time. But you must. The takeaway: Buying a home requires you to stay on top of your to-do items, especially during the escrow process where there may be penalties for missing a deadline. One of the key to-do's is the three-day requirement to send in your deposit. Miss that and you may miss out on the deal. Finding a good lender is imperative. Shop around for someone who is professional, returns emails and phone calls in a timely manner and gets things done quickly so you don’t miss deadlines. The takeaway: A lender can make or break a deal, so choose wisely. One of the main things to look for besides the loan rate is the responsiveness of the lender. They need to move fast or the deal may fail. While hunting for your first home you may submit numerous offers on different properties - all of which may fall through. This can be a major disappointment and it may be difficult to be patient. But sooner or later you will find the perfect home. As inventory can be scarce, working with a realtor who's "in the know" about upcoming listings can help the process. For example, sometimes contractors do work on a home before it hits the market. This can be a great opportunity to purchase a house before it is even listed. The takeaway: It’s tough not to get disheartened while house hunting. Competition is fierce, and you need to prepare yourself for the long haul. You may need to adjust your criteria so more possibilities are opened up. In the meantime, keep making those offers. One of them will get accepted eventually. 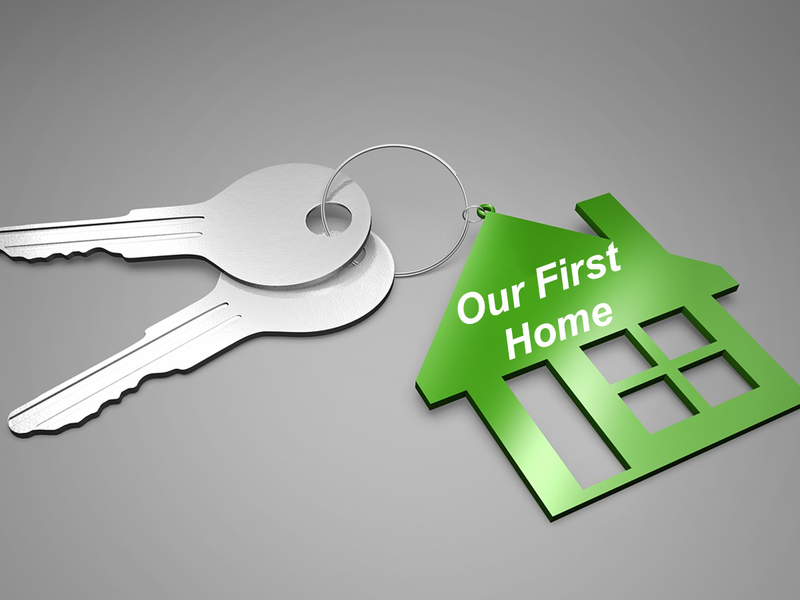 Buying your first home is life-changing, exciting and challenging, but remember you are not in it alone. Learn from the mistakes of others, do your homework, and try to enjoy the road to homeownership – all the ups and downs will be well worth it in the end. If you are ready to take the plunge and purchase your first home, please contact us, we are happy to help!